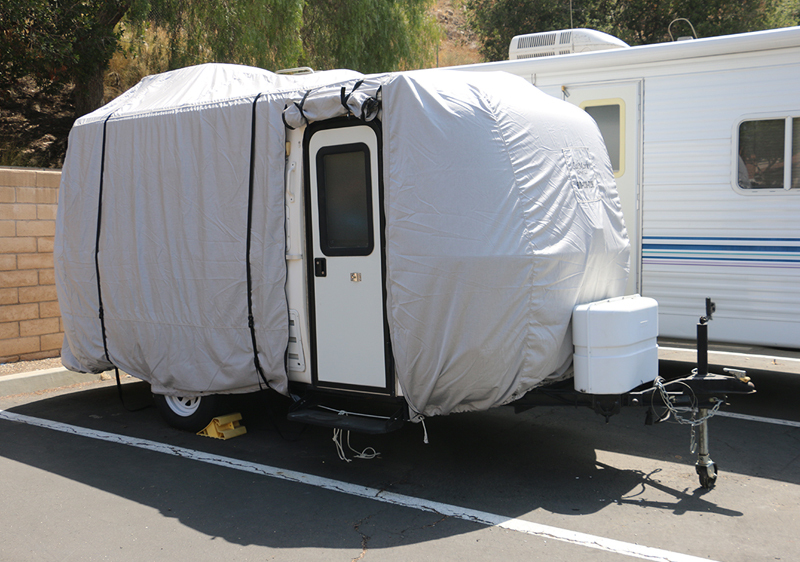 Each Casita or Scamp Cover from Calmark Cover Company is made to order – Customized fit specifically for Casita and/or Scamp. It comes with a custom zipper door for easy access and our FSR construction and friction reducer tie straps – AND our exclusive new feature, the “Quick and Easy Tie Down System”. We do not need measurements for Casita or Scamp cover order. JUST CALL TO PLACE YOUR ORDER.